Russelll Parrish is a Senior User Experience designer at IBM, recently tasked with redesigning the IBM Cloud to be more user-centric and differentiated from its competition. 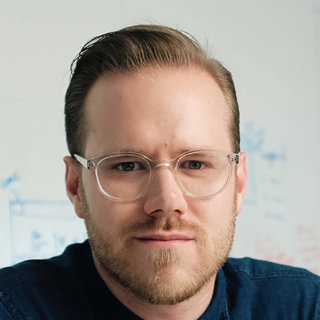 He has worked in both the consulting and in-house product development worlds, and he specializes in translating business needs into impactful, human-centered solutions through the use of design thinking, user research, visual design, and core web development languages. Explore the power of a design thinking to create an industry disruptive consumer mobile application for VR platforms. This workshop will cover how to create world class experiences that focus on the needs of the user to differentiate your business. Prototype your solution and view it in VR using our paper prototyping rig which utilizes a 360 degree camera to bring your sketches into a VR environment. Understanding how to sketch for a VR environment. Using our paper prototyping VR rig which utilizes a 360 degree camera to translate traditional sketches into immersive VR experiences. Best for creative thinkers and makers! Smartphone required to view 360 content.